We are not keeping peace when we try to cover up or avoid problems. How we deal with conflict will either grow a relationship or destroy it. As long as it takes to build trust, it can be broken in an instant. Conflict is not a bad thing. Don’t waste energy wishing it would go away. Understand it. Know how to respond. She offers real-world advice based on solid research where you will learn to approach conflict in ways that work, problem solve and be more confident, negotiate differences, forgive and strengthen relationships even when conflict seems unsolvable. Dr. Linda Mintle confesses that for years she believed worry was an inevitable byproduct of our modern, busy lives. But as she explored God’s Word for guidance, she discovered that worry isn’t supposed to be managed. It’s supposed to be released completely. 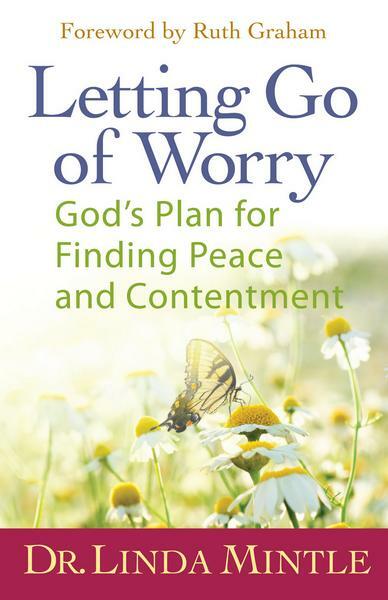 With godly instruction, Scriptures for meditation, and the hope of a renewed perspective, readers can let go of worry and embrace a transformed life of peace, forgiveness, and faith. From her perspective as a Christian therapist with more than 20 years of experience in private practice, Mintle examines the difficulties inherent in the mother-daughter relationship as conventionally defined within U.S. culture. 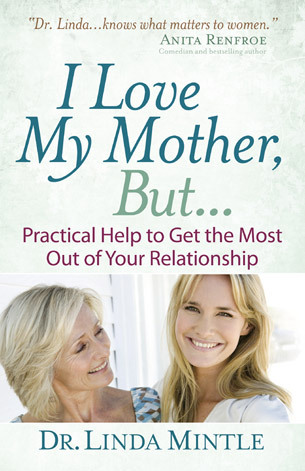 Addressed to women of all ages who want to forge a more intimate connection with their female parent, Dr. Linda provides useful tools for coping with emotions and situations that prevent closeness, including a daughter’s extreme need for approval or an inability to detach emotionally from her mother. Mintle’s practical advice is always alloyed by spiritual guidance. Anger-management techniques, for example, such as avoiding “nonessential triggers,” talking problems over with friends and learning how to be assertive are presented along with appropriate verses drawn from the Bible. In addition to more active strategies, Mintle consistently recommends prayer and acceptance as the road to deepening a mother-daughter bond. She is convinced that the spiritual act of forgiveness, for even the most abusive or dysfunctional mothers, is a worthy and self-healing goal for daughters. For all the times you’ve said, “Why did I just eat that?” Say good-bye to one of the most overlooked areas of our relationship to food — mindless eating. 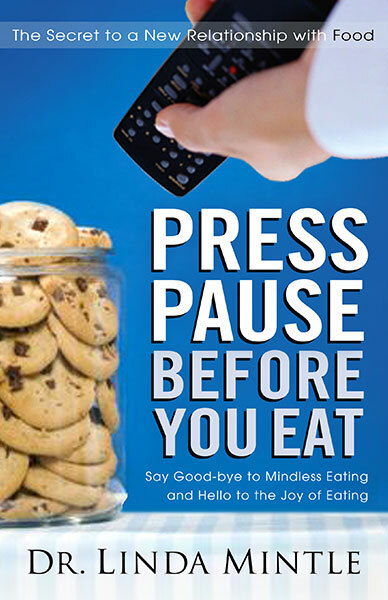 This groundbreaking book shines new light on why we eat along with practical, proven strategies to control our eating. Make Your Love Last a Lifetime. Having a good marriage is not an exact science, but there are key strategies you can put to work at any point in your relationship–engaged, married for a short time, or married for a lifetime–that will keep it from becoming another casualty. 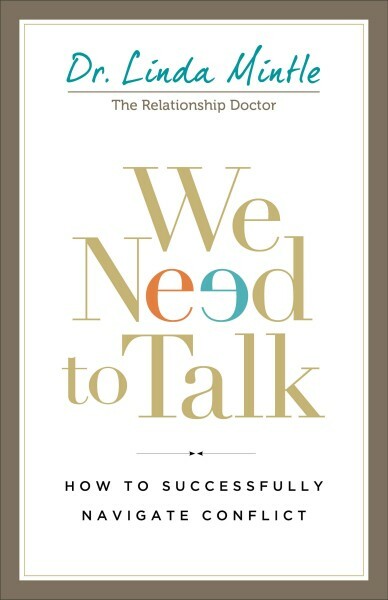 Dr. Linda Mintle, a marital therapist in clinical practice for more than twenty years, mixes research, experience, biblical principle, insight and wisdom all together in an effort to strengthen your marriage. I Married You, Not Your Family! 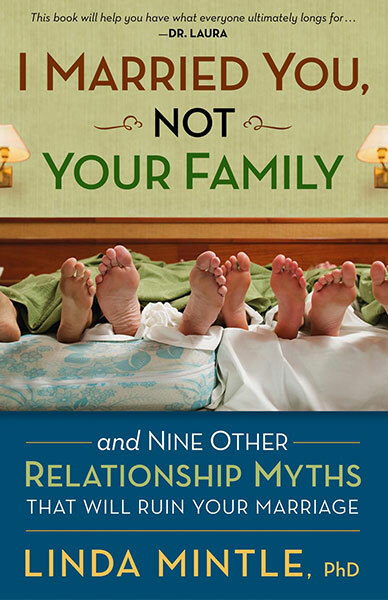 dispels ten myths most people have when they enter marriage, and provides strategies to turn your marriage into the “happily ever after” you’ve always wanted. Best-selling author and radio personality Stephen Arterburn has a national reputation for helping people emotionally, mentally and spiritually. 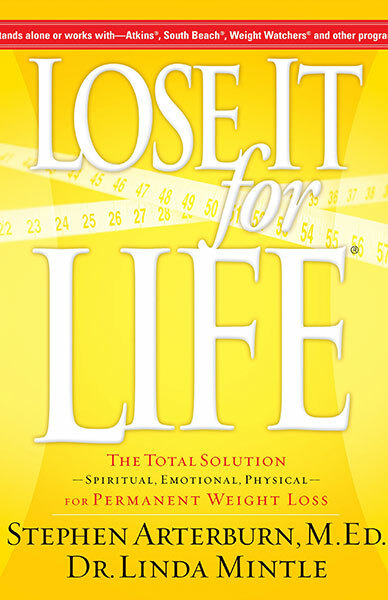 Now the principles from his nationally recognized Lose It for Life Seminars ($1,600 value) are available in this book for people who are tired of struggling with their weight. Lose It for Life is a uniquely balanced program that not only deals with the physical issues of overeating, but also focuses on the emotional, mental, and the often-missed SPIRITUAL factors related to weight loss to help readers achieve PERMANENT results. Lose It for Life is also the perfect companion to any weight-loss program–Atkins®, South Beach®, Weight Watchers®, whatever! This ground-breaking new book is co-authored by Dr. Linda Mintle, who has been in clincial practice for 20 years and specializes in issues of weight and eating disorders. Together, Arterburn and Mintle give hope to those who have tried “diet” fads with only temporary results. This book will give them the information and motivation they need to live healthy and to finally–lose it for life! 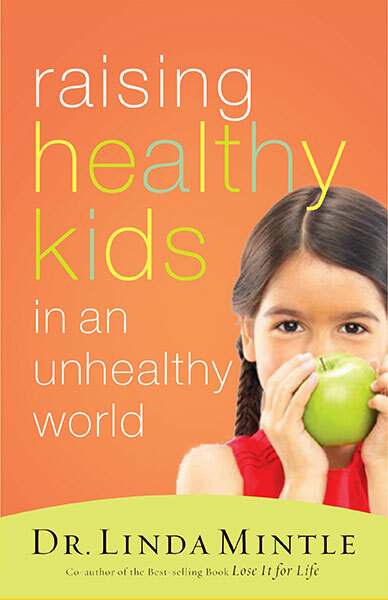 Raising Healthy Kids in an Unhealthy World teaches parents how to raise healthy kids in an over-scheduled, fast-food, video-game world by making simple choices, easy changes, and instilling good habits that will improve everyone’s life today and forever. Previously titled Overweight Kids, this positive, practical, and inspirational guide will help parents find spiritual and behavioral solutions to help their kids achieve and maintain a healthy weight. Acclaimed specialist, Dr. Linda Mintle, gives parents the information and encouragement they need to raise happy, healthy kids. As childhood obesity rises to epidemic proportions, every parent is faced with challenges that were not an issue a decade ago. Dr. Mintle addresses the toxic environment that impacts every family-overscheduling, eating on the run, sedentary options instead of active play, even school systems that no longer include physical activity. She then presents real life solutions that have immediate and long-term results for every family. From actresses and models to CEOs, housewives, teachers and moms, body obsession is eating away at women’s souls and causing anxiety from middle school to mid-life. It’s our one common denominator as females, says Dr. Linda Mintle, celebrity or not. And the cultural whiplash to be thin ?but not too thin? has left many victims in its path, including the author . . . until she learned what it took to stop the obsessive cycle. Dr. Linda’s experiences, which she shares in this book, some of them hilarious and some of them poignant, affirm that we don’t have to carry this anxiety with us from womb to tomb. But giving up the baggage, she says, involves getting a grip on who we are, what we believe and why we care so much about our looks. 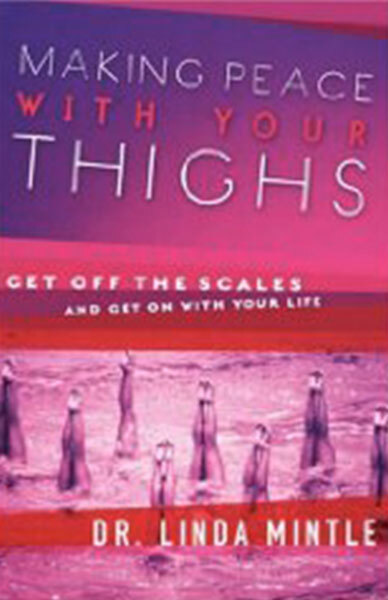 This book, from one of the nation’s leading authorities on eating disorders, will be your friend and guide. 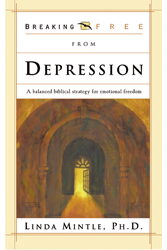 If you struggle with anxiety, depression or food and weight problems, this book is for you. You can be free! Send it to a friend. Order it now. 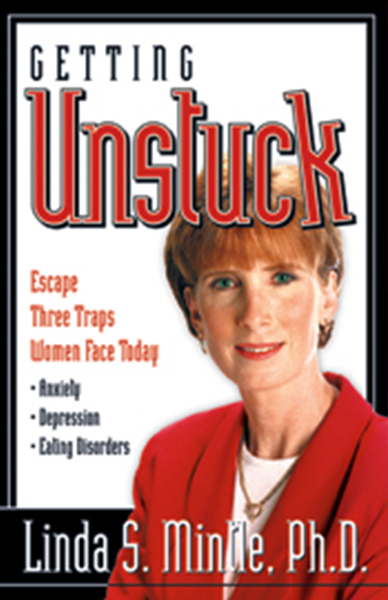 It’s packed full of practical tips to move you from stuck to unstuck! Read more about it. Anger happens; it’s part of being human. But it does not need to control our ruin your life! Learn to express anger in a healthy way that brings positive results. Whether you are seriously out of control, hot-tempered or easily annoyed, now you can break free from the grip of anger. Learn life-changing strategies for healthy anger expression. 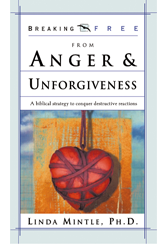 Identify anger triggers and explore ways to deal with them. Examine biblical guidelines for expressing anger. God has important things to say about anger! Let these encouraging words speak to your heart as you begin making positive choices and changes. LORD, HELP ME GIVE YOU CONTROL OF MY LIFE! No one is exempt from occasional gloomy feelings. But when depression hits, you can identify the roots and change your negative thinking. God does not want you depressed. He wants you experiencing great joy! Everyone needs help now and then. Whether you are a teen, adult or senior, this message brings new hope. Recognize triggers that lead to depression. Discover tools to escape dression. Stand on God’s Word and find strength for every situation. SEEK WISE COUNSEL, AND ASK THE HOLY SPIRIT TO LEAD YOU OUT OF YOUR DEPRESSION AND INTO THE JOY OF LIVING! LORD, HELP ME TO SEE MYSELF THROUGH YOUR EYES! God is after your heart! He is not so interested in your beautiful exterior, an impressive resume of your fame or fortune. Now, break free from the myths and deception that society and the media have taught you, and become a beautiful reflection of His handiwork and design! 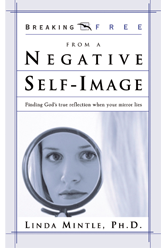 Understand how a negative self-image develops. Use break-free strategies to change your view and actions. Learn to live as a reflection of God’s image. WHOSE IMAGE DO YOU WANT TO REFLECT–GOD’S OR MAN’S? APPLY THESE PRACTICAL GODLY PRINCIPLES TO YOUR LIFE, AND FIND YOUR TRUE IDENTITY IN HIM. LORD, HELP ME SEE WHAT’S REALLY IMPORTANT! Stress is all around us—a byproduct of our postmodern lives. We have too little time, too few resources and little control over much of our lives. But you can break free from stress and its effects. Discover how to laugh more, enjoy life to fullest and stop letting stress slow you down. Understand stress and how it operates in your life. 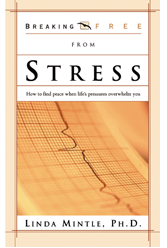 Identify the physical and emotional signs of being overstressed. Apply biblical stress-free strategies to specific problems. When you are overwhelmed and have done all that you know how to do, God is the resouce that will never run out. Let Him relieve your stress!